VUT Indie Days and the VIA! VUT Indie Awards – hosted by the German Association of Independent Music Companies (VUT) – will be returning for the fourth time to Reeperbahn Festival to complement the conference programme. 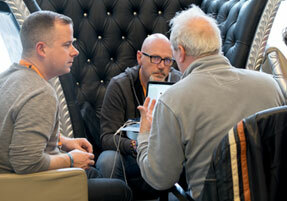 As always, VUT Indie Days will focus on the important issues affecting independent music companies in Germany. VUT Indie Days will be held from 19 to 22 September and will enrich the Reeperbahn Festival programme with sessions, keynotes, workshops and VUT’s annual general meeting as well as the VUT Indie House. The opening of VUT Indie Days takes place on 19 September and includes a keynote. The VIA! VUT Indie Awards will be presented on 20 September at Schmidts Tivoli. The main sponsor of the awards ceremony is the Ministry of Culture and Media of the Free and Hanseatic City of Hamburg. VUT Indie Days are supported by the German Society for the Administration of Neighbouring Rights (GVL). Visit our website for more information on VUT Indie Days and VIA! VUT Indie Awards. 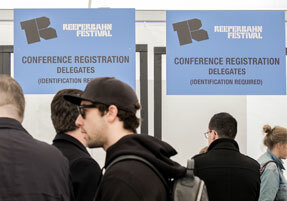 The Reeperbahn Festival Conference is Europe’s platform for the music and digital creative industries, with industry professionals from more than 50 countries that meet, network, and take part in a programme of more than 200 events. We’re still offering meeting spaces near the conference centre for the exclusive use of our partners – for planned and impromptu conversations, as a permanent networking meeting point, and for establishing and cultivating contacts. The number of meeting spaces is limited. We’ve also put together a great selection of hotels located on and around the Reeperbahn. Please note that the hotel rooms are quickly sold out.